Introduction: Child abuse is a deliberate act of violence against children under the age of 18 years. One of its major complications is the aggression of children and, as a result, an increase in crime in society and a reduction in the success and quality of life in children. The aim of this study was to determine the relationship between child abuse and aggression in primary school students in Sanandaj City-Iran. Methods: In this cross sectional study, the population included 381 primary school students (10-12 years old) living in Sanandaj. Samples were selected through multistage cluster sampling. Eysenck Aggression Questionnaire and the Majdzadeh Child Abuse Questionnaire were used. Data were analyzed using SPSS-18 software with Chi-square test for statistical analysis. Results: Of the 381 students, 171 (44.9%) were male and 210 (55.1%) were female. Chi-square test showed that there was a significant difference between aggression with gender (P=0.01) and grade (P=0.036). There was also a significant relationship between child abuse and father's education (P<0.05). There was a significant relationship between aggression and different types of child abuse (psychological, emotional, physical and neglect) (P<0.05). Conclusion: Considering the increasing prevalence of child abuse and its direct relationship with aggression in children, proper planning to reduce this social problem, it seems necessary to conduct educational classes for parents and teach them the proper way of communication with children. 3- Centers for Disease Control and Prevention. Child maltreatment facts at a glance 2013. Retrieved from CDC Injury Prevention and Control- from the original on 29 August 2017. 5- Miri S, Froogh Ameri G, Mohammad Alizadeh S, Froodnia F. Prevalence of child abuse in high school students of Bam city (Kerman/Iran) in 2003. J Kerman Univ Med Sci. 2006; 12(1):43-50. 6- Symes L. Abuse across the lifespan: prevalence, risk, and protective factors. Nurs Clin North Am. 2011; 46(4):391-411. 10- Shafipour S Z, Sheikhi A, Mirzaei M, KazemnezhadLeili E. Parenting styles and its relation with children behavioral problems. J Holist Nurs Midwifery. 2015; 25 (2) :49-56. 15- Bueler E, Epstein D, Hicks-Little C, Fuller A, Di Muzio J, McGlade E, et al. Aggression and quality of life in collegiate football players at pre-season and one-year follow up. Med Sci Sports Exerc. 2016; 48(5):843. doi:10.1249/01.mss.0000487525.37568.96. 18- Bahrami-Ehsan H, Bagherpoor-kamachali S, Fathi-Ashtiani A, Ahmadi AA. Parenting patterns associated with mental health and academic success of children. J Psychol Educ Sci. 2009; 37(4):100-87. 19- Hosseinkhani Z, Nedjat S, Majdzadeh R, Mahram M, Aflatooni A. Design of the child abuse Questionnaire in Iran. J School Public Health Institute Public Health Res. 2014; 11 (3):29-38. 20- Arabgol F, Derakhshanpour F, Panaghi L, Sarjami S, Hajebi A. Effect of therapeutic interventions on behavioral problems of abused children. J School Public Health Institute Public Health Res. 2014; 19 (3):202-210. 22- Maleki S, Khoshknab MF, Rahgooi A, Rahgozar M. The effect of anger management training in groups on aggression of 12-15 years old male students. 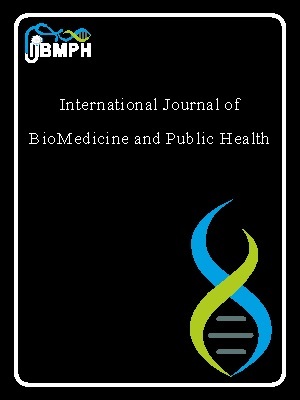 Iran Journal of Nursing. 2011; 24(69):26-35. 23- Hosseinkhani Z, Nedjat S, Majdzadeh R, Mahram M, Aflatouni A. Design of the child abuse questionnaire in Iran. J School Public Health Institute Public Health Res. 2013;11(3):9-38. 25- Ghasemi F, Valizadeh F, Toulabi T, Saki M. A survey of some behavioral disorders due to parental corporal punishment in school age children. Yafteh J. 2008; 9(4):59-65. 26- Rast N, Taneh H, Pahlevanzadeh B, Seyedghasemi N, Kolbadinejad K, Dogonchi M, et al. Prevalence of Aggression and Its Related Factors in Adolescent Pupils of Gonbad-e-Kavous City, 2014. J Preven Health. 2016; 1(2): 43-50. 27- Tahmasbyan H, Jafari J, Roshanai B, Chaghazardi S, Hosseini A, Amjadian N. The relationship between child abuser parent and personality characteristics with criminal behavior among prisoners in Kermanshah. Ir J Forensic Med. 2012; 18 (1):17-24. 28- Torshizi M, Saadatjoo SA. Aggressivement and the related issue in secondary school students in Birjand. Mod Care J. 2012; 9(4):355-63. 29- Sharifirad GHR, Bahari A, Bazani M, Jalilian M. Relationship between Aggression and demographic characteristics in Male High School Students of Ilam. Zanko J Med Sci. 2016; 16(51):36-44. 30- Malekshahi F, Farhadi A. Prevalence of child abuse in Khorramabad junior high school students. 2012. Yafte J. 2014;15 (5):31-9. 33- Yousefi F, Shahvesi S, Shahvisi M, Servatyari K. The Relationship between Gender Difference and the History of Psychiatric Disorders in the Family with Oppositional defiant disorder among Primary School Students in Sanandaj in 2014. Shenakht J Psychol Psychiatr. 2017; 4(3): 58-64. 34- Zahrabi Moghadam J, Nouhjah S, Divdar M, Sedaghat Dyl Z, Adibpour M, Sephavand Z. Frequency of child abuse and some related factors in 2-5 years children attending health centers of Ahvaz and Haftgel in 2011. Jentashapir J Health Res.2012; 3(1): 237-45.